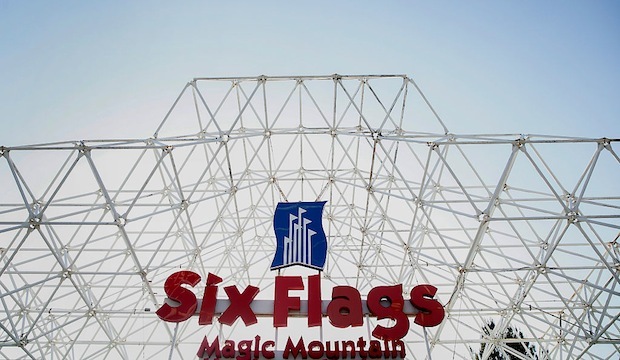 Saudi Arabia’s Public Investment Fund (PIF) has announced an agreement with US theme park operator Six Flags to establish a new attraction in the kingdom. The new theme park is expected to open in 2022 as part of the 334-square-kilometre Qiddiya ‘entertainment city’ south of Riyadh. Six Flags will develop and design the facility. The PIF said the park would create jobs for Saudi Arabia’s young population. “Our collaboration with a leading international company in this sector makes us confident that an exceptional project will enrich the daily lives of the Kingdom’s population,” the PIF said. The project was previously announced in April last year when the kingdom unveiled plans for the entertainment district. Six flags president David McClebs said the company saw the Riyadh theme park as a “unique opportunity” to continue the brand’s global growth. The executive chairman of the firm previously said in 2016 it aimed to open three theme parks in Saudi Arabia with each costing between $300m and $500m. The agreement comes as the conservative kingdom seeks to expand its entertainment offering and bring home money spent by Saudi tourists abroad by allowing previously banned shows and concerts. The PIF is leading these efforts through an entertainment investment firm it established last year. This month, Saudi Arabia will mark the opening of its first new cinema in decades after a deal with US firm AMC Entertainment Holdings to open up to 40 theatres. Construction of a Six Flags theme park is also underway in Dubai at the Dubai Parks and Resorts complex owned by government firm Meraas. The theme park operator previously had regional exclusivity to the Six Flags brand before UAE Vice President and Prime Minister and Dubai Ruler Sheikh Mohammed bin Rashid al-Maktoum gave Six Flags permission to break the deal for parks in Saudi.